Avocado Toast - 2013-324, originally uploaded by Judi FitzPatrick Studio. 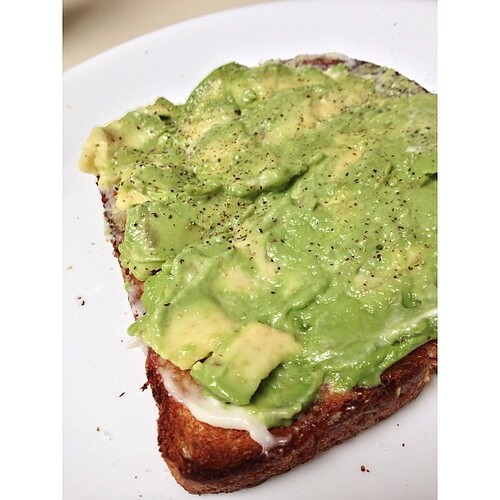 Spread toast with either ghee, olive oil, or my favorite, Vegenaise. Mash on 1/2 avocado. Sprinkle s&p to taste. I am going to try it, looks good!